Point2 Homes gives you far more than a simple list of houses for sale. Get instant access to a lot of relevant information about Ajax, ON real estate, including property descriptions, virtual tours, maps and photos. The search results pages also have a wealth of information on Ajax, ON, if you scroll all the way down. 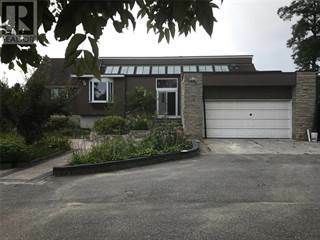 There are 207 houses for sale in Ajax, ON. Searching homes for sale in Ajax, ON has never been more convenient. 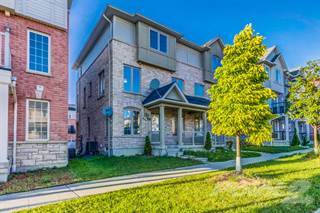 With Point2 Homes, you can easily browse through Ajax, ON single family homes for sale, townhomes, condos and commercial properties, and quickly get a general perspective of the real estate prices. Also, you’ll never miss a bargain if you filter listings based on house price drops in the past six months. Use the map view to find Ajax, ON homes and apartments for sale, based on amenities or city features that you may want close by. You can close in on a specific neighbourhood or area by simply drawing around them with the polygon or radius tools. Stay informed about the latest entries on the real estate market by saving your searches. This way, you get new listings in your inbox, daily or every week, based on your preferences. If you’d like to get in touch with a professional, agents are displayed next to their listings, and they’re easy to contact through the online forms. If you want more options, you can click the Tools tab and Find an Agent, and you’ll get a list of helpful and knowledgeable real estate agents in Ajax, ON. Visit the Point2 Homes blog and you can find up to date expert advice on many markets throughout Canada, regular market reports, neighbourhood scoops in cities throughout the provinces, real estate deals and useful recommendations. Ajax is a city located in the Durham Region in the province of Ontario. It is part of the Greater Toronto Area. The city stretches over 67 square kilometers of land, and is surrounded by Pickering and Whitby. Lake Ontario is on the south side of the city. Ajax has a population of over 109,000 people. It’s named after a Royal Navy cruiser called “HMS Ajax”. With a growing population, Ajax provides surrounding areas such as Toronto with some of their workforce. However, there are still growing opportunities in the city. The most employed sectors in Ajax are manufacturing, retail trade and health care. Most businesses in Ajax employ less than 10 people. A growing industry in the city is the creative industry. Specifically, the areas that grew most within this industry are web and design services. Ajax actively works to attract new businesses and grow the industries within the city. Ajax is home to many different attractions that draw residents and travellers alike to the city. From shopping, to sports and parks, everyone can find their passion in Ajax. There are 600 hectares of parkland and 74 kilometers of trails in the city. One of the parks is called Rotary Park, which has some of the largest trees in the city. It also has a beach, playground and a splash pad. There is Paradise Park, which really lives up to its name. It offers playgrounds, sports fields and more for visitors. Ajax is rich in shopping and other entertainment. The Durham Centre has over one million square feet of space to shop. There are also many large stores here like Canadian Tire and Chapters. As for entertainment, there are plenty of options. There is OLG Slots at Ajax Downs for those who like a night out at the casino or Yuk Yuk’s Comedy Club for those who love to laugh and catch a good show. There are always events and festivals in Ajax to spend some time with family or friends. Some festivals are Doors Open Ajax, Pumpkinville, and Celebrate Ajax by the Lake. Doors Open Ajax is a historical event to learn more about the heritage within the city. Pumpkinville is a fall event that has a haunted house, a pumpkin carving contest and more. Celebrate Ajax by the Lake is an event full of activities for everyone to enjoy while celebrating the lake. There are four wards in Ajax that each have an array of different communities. Ward 1 is in the northwest side of the city and consists of communities such as Meadow Ridge, Applecroft and Riverside. Meadow Ridge has both residential and commercial areas. There are fast food chain restaurants as well as grocery stores. It is very much a family oriented community with mostly families residing here. Applecroft has many elementary schools and parks within the area. Many trails are also found here. Riverside also has plenty of parkland but overall, residential space dominates the area. Ward 2 is located in the northeast section of the city and it is made up of communities such as Salem Heights, Audley North and Audley South. Salem Heights has many necessary services and stores for residents. Grocery stores, banks and salons are just some of the amenities in this area. It is an upper-middle class neighbourhood with many families. Audley North and Audley South are quite similar in nature with both of them being upper-middle class areas that are home to many families as well. Ward 3 is located in the southwest area of the city. It has communities such as Downtown, Discovery Bay and Duffins Bay. Downtown Ajax is constantly being revitalized to be a vibrant and lively part of the city. There is no wonder that there are so many singletons in this area because of this. It is a diverse part of the city with middle-class households. Discovery Bay and Duffin’s Bay are close to the water and offer plenty of housing. They are upper-middle class communities. Ward 4 is in the southeast section of the city and has neighbourhoods such as Lake Vista, Lakeside and Carruthers Creek. Lake Vista has many services in the area as well as plenty of residential space. It is a middle-class neighbourhood with many families. Lakeside is an upper-middle class community that is dominated by families. Carruthers Creek is another upper-class family community. There is a golf course in this area of town as well. Meadow Ridge has detached and single-family homes. Almost every property in this area is owned, and a very small percentage is rented. The houses here are mostly newer homes. The properties are more expensive here as well. Applecroft has detached and single-family homes as well as condominiums. Majority of the properties are owned and fewer tend to be rented. The properties are a mix of newer and older homes. The houses in Riverside are detached and single-family homes. All except a few houses are owned, with the rest being rentals. The houses are a mix of newer and older homes. Properties are more on the expensive side in this neighbourhood. Salem Heights has detached and single-family homes. There are barely any properties that are rented in this area. The housing here is newer and some properties are expensive. Audley North and South are very much the same as Salem Heights in regards to the types of homes here and the fact that more properties are owned rather than rented. There are a mix of affordable properties and more expensive properties here. The Downtown community has high-rise apartments. More properties are rented here but there are still good amounts of properties that are owned. Discovery Bay has detached and single-family homes. Most properties are owned, while fewer are rented. The homes are a mix between newer and older homes. There are single-family homes in Lakeside. Being an upper-middle class community, the housing in this area is generally more expensive than in others. There are two main school boards in Ajax: the Durham District School Board and the Durham Catholic District School Board. The school boards also serve other areas in the Durham Region that surround Ajax as well. The Durham District School Board has 107 elementary schools and 24 secondary schools. The Durham Catholic District School Board has 39 elementary schools and 7 secondary schools. Additionally, Ajax has many post-secondary institutions that surround the city. Schools such as Durham College, Trillium College, and Durham Business and Computer College are in the surrounding areas of the city. Many of the institutions are in Oshawa, which is a short distance from Ajax.